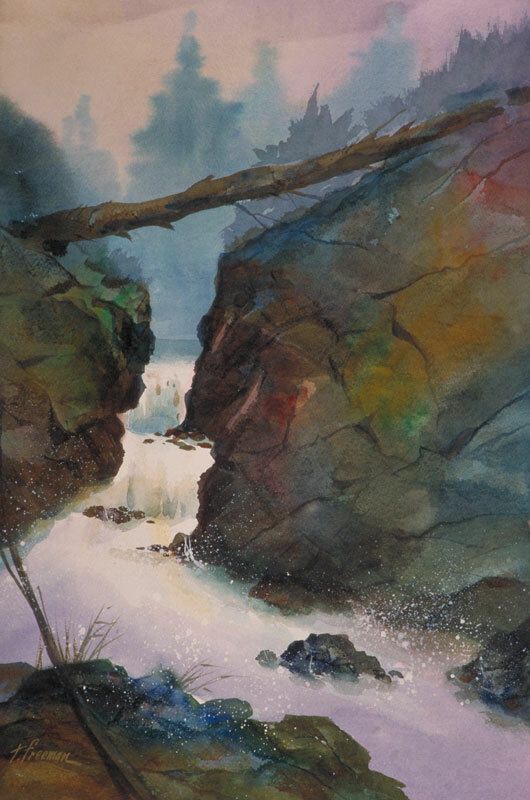 Thomas Freeman Original Watercolor Painting: "River Runoff"
I like the rocks here, their shapes and colors. I created the rocks with a credit card scratching off the top colors and exposing colors in a lower layer. I used the same card to form the cracks and irregular shapes. I did the background wet to give the trees an indistinct appearance from the fog.